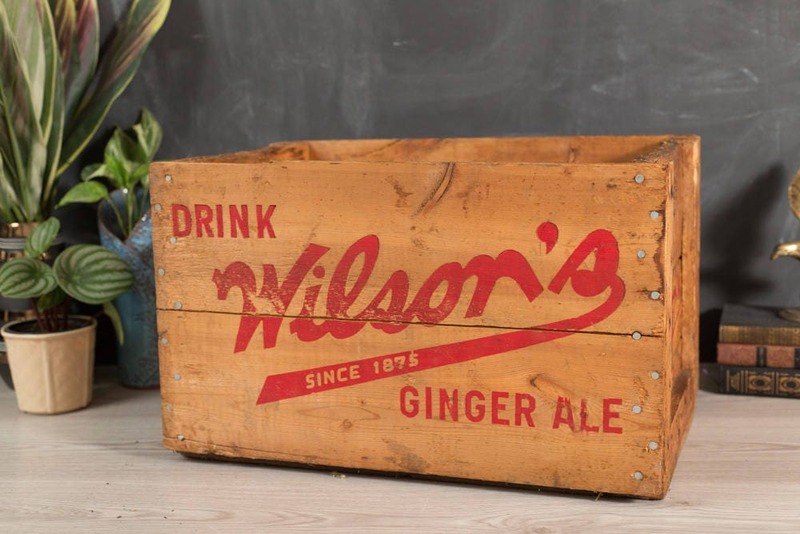 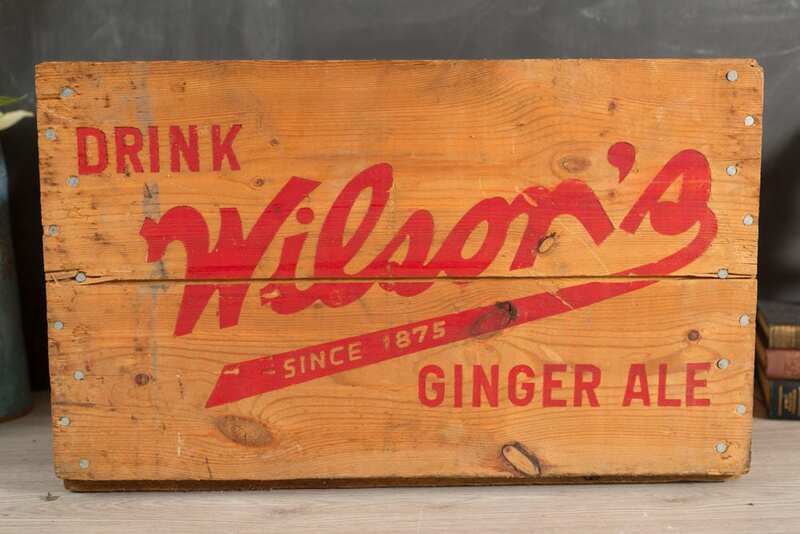 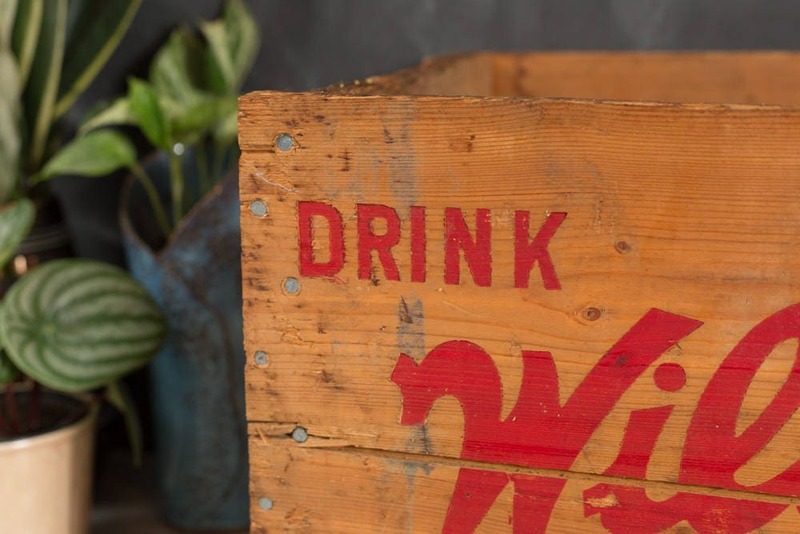 Spruce up your decor with this great looking vintage Wilson's Ginger Ale solid wood crate. 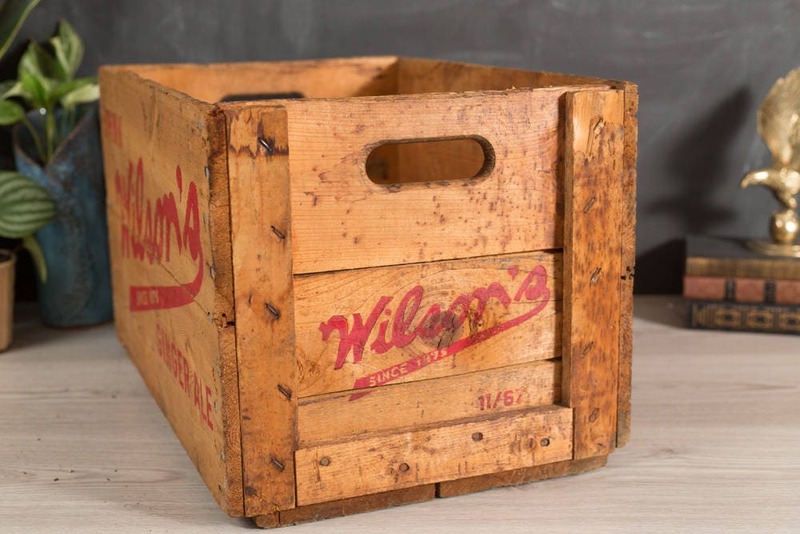 It has beautiful and bold red lettering on front and back and sides of crate. 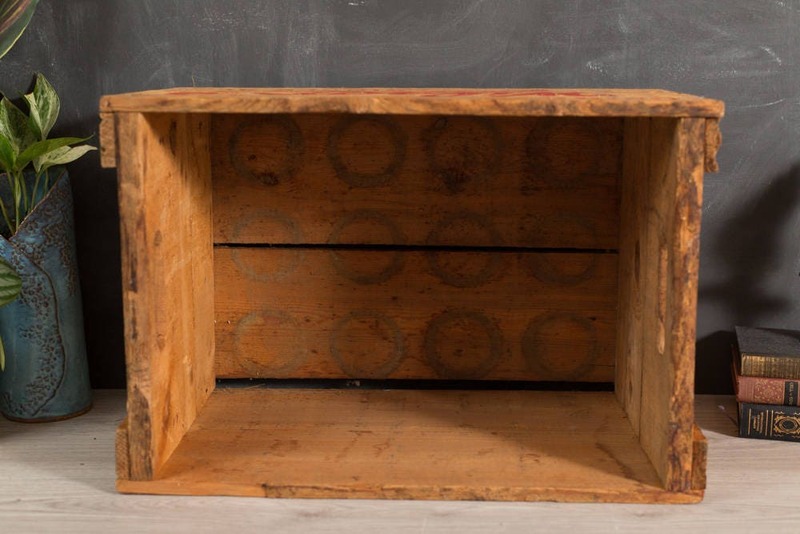 It could be used as a flower or plant display, clothing storage or shoe shelf. 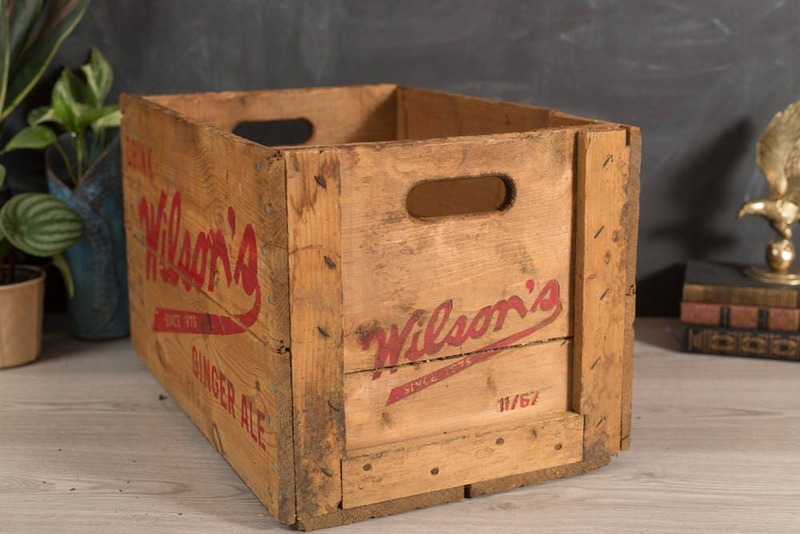 Also great for LP records, books, and much more. 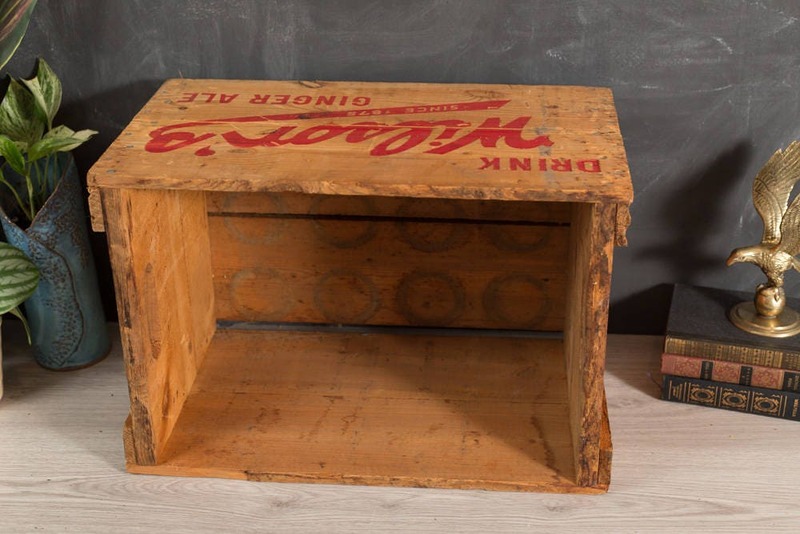 Makes for a great addition to any mid century, rustic, or modern industrial decorated space. 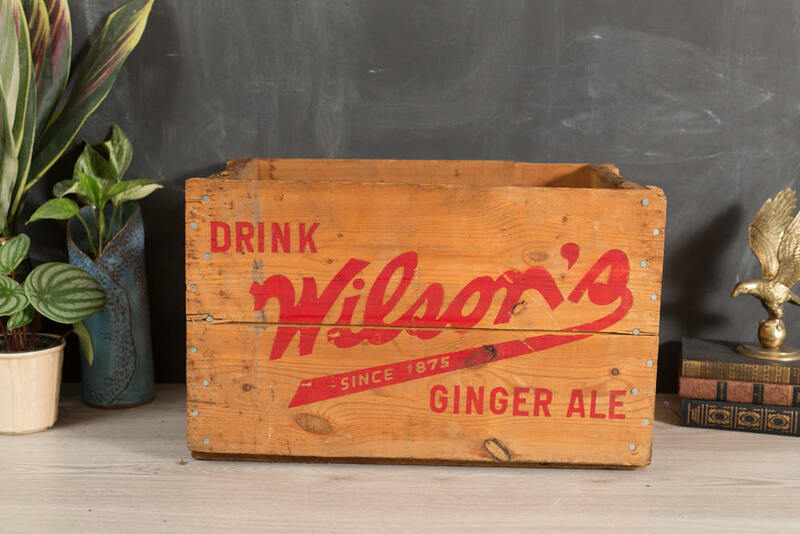 The handles make it easy to carry.